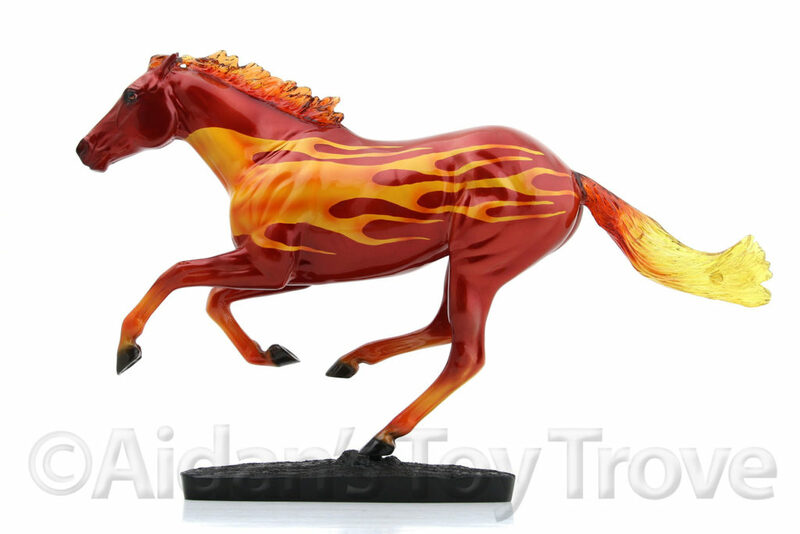 The Breyer Dark Horse Surprise Glossy Decorator 711285 is stamped BreyerFest 2018 on his underbelly in black ink. 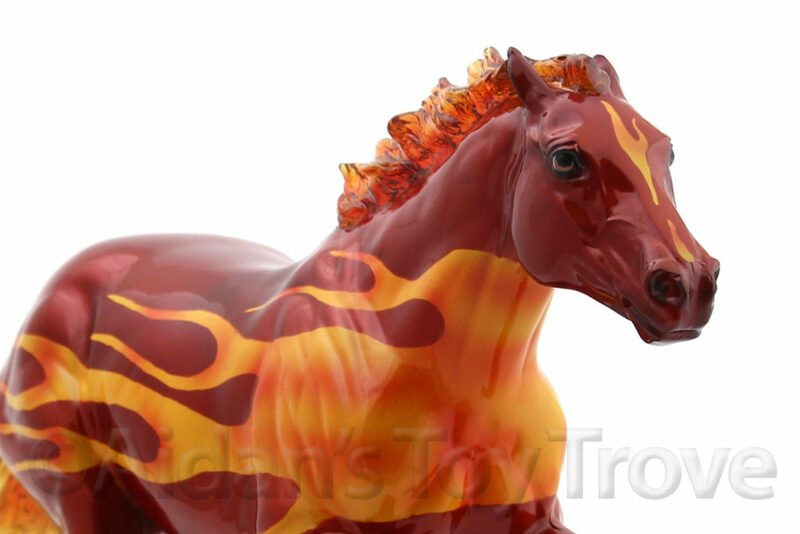 The Breyer Dark Horse Surprise was the first to sell out in the BreyerFest Tent Line and is completely sold out from Breyer. 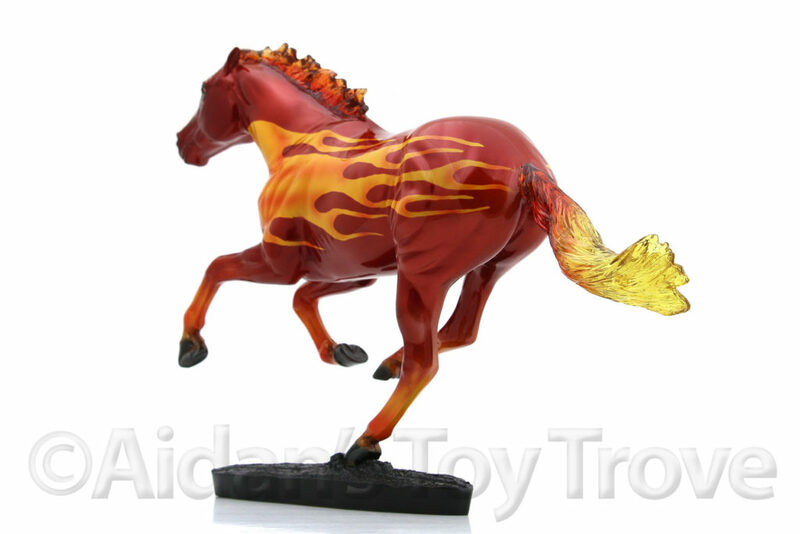 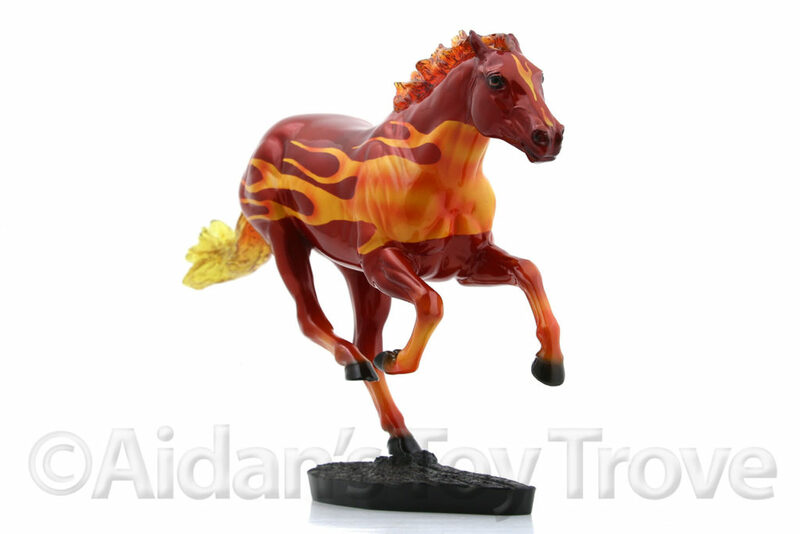 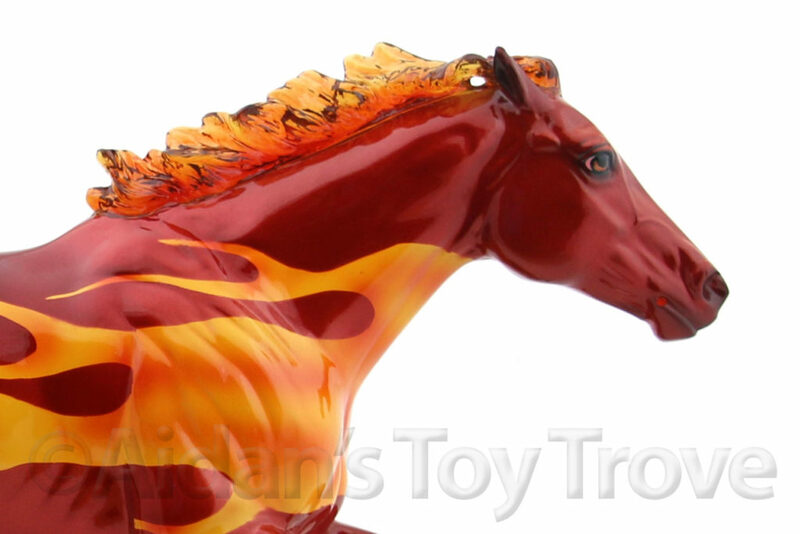 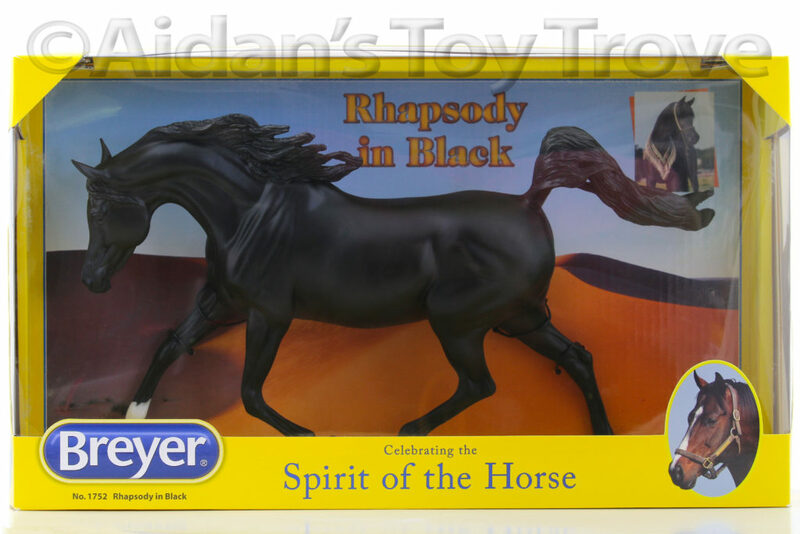 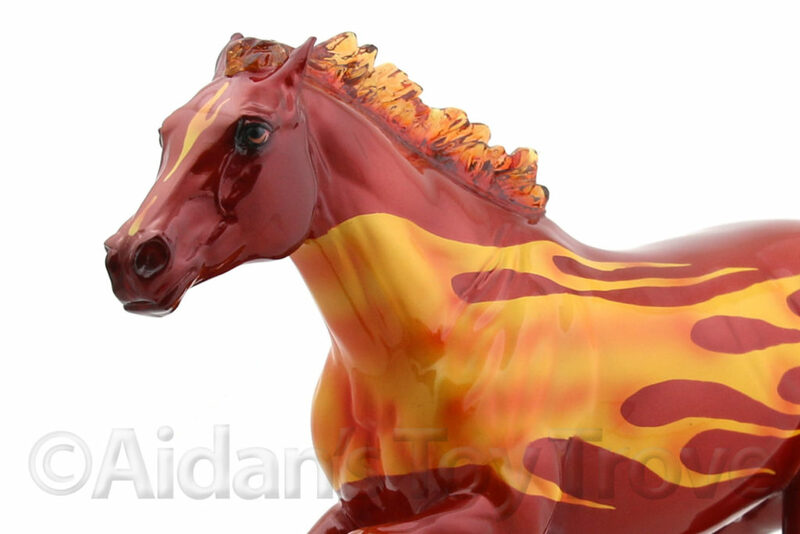 The Breyer Dark Horse Surprise Glossy Decorator 711285 is in factory mint condition but does have some factory flaws. 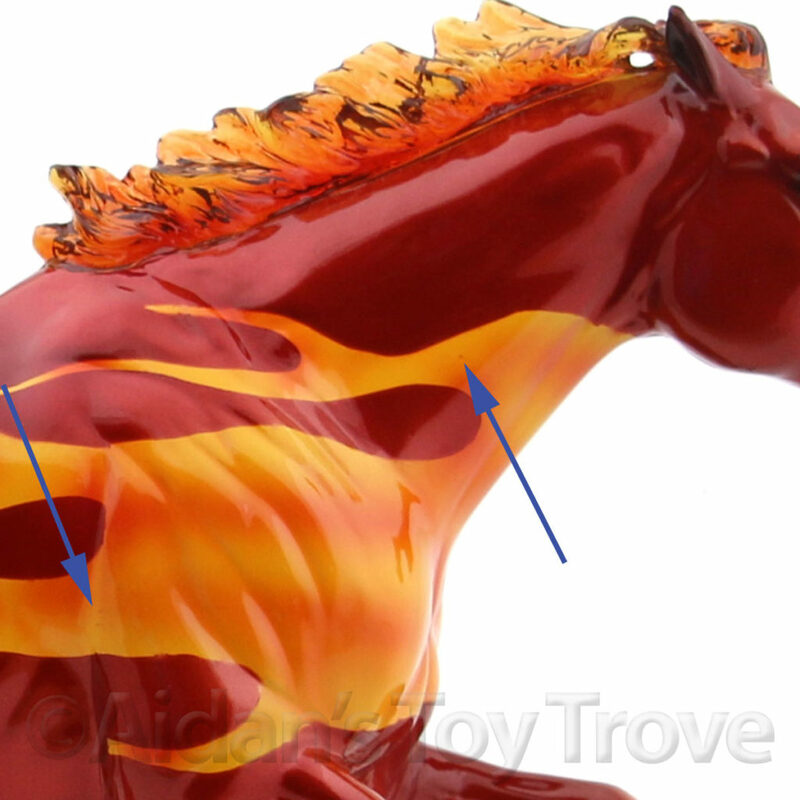 He has a minuscule black speck on his left barrel. 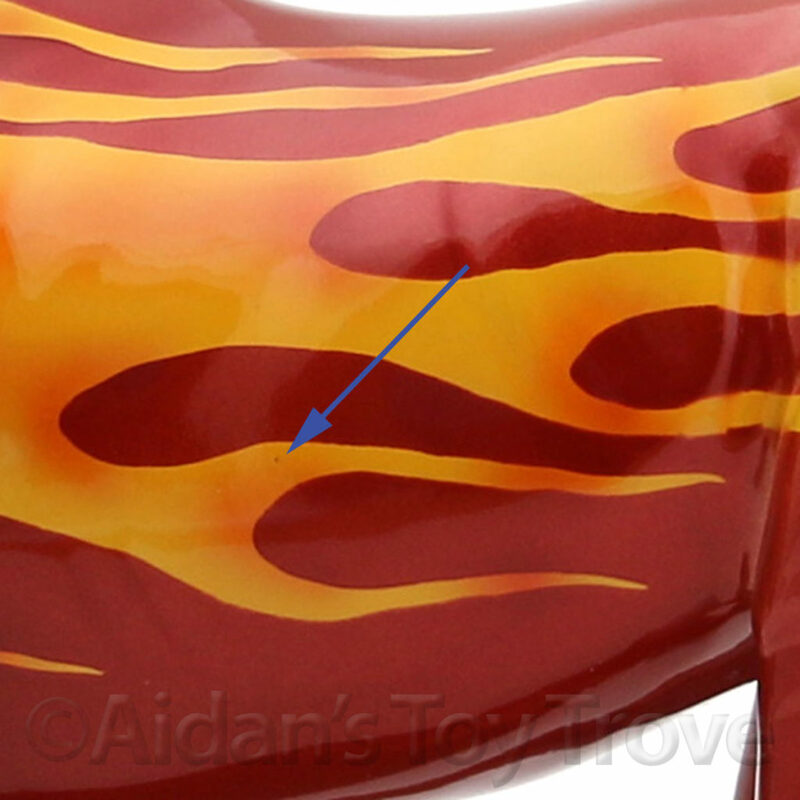 He has a near invisible painted over shallow divot on his right haunch. 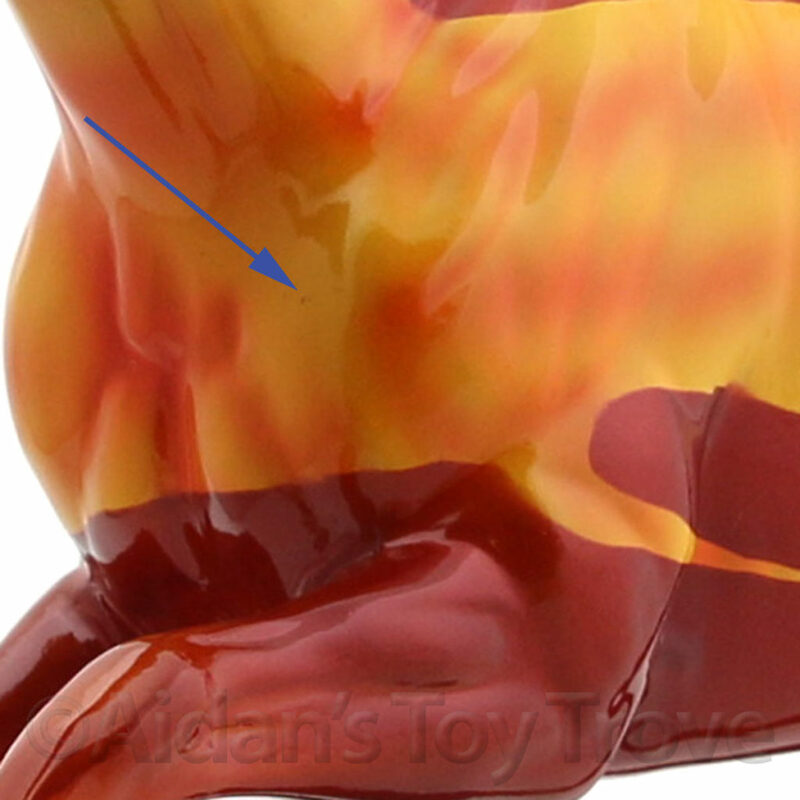 He has a raised red speck on the right side of his neck. 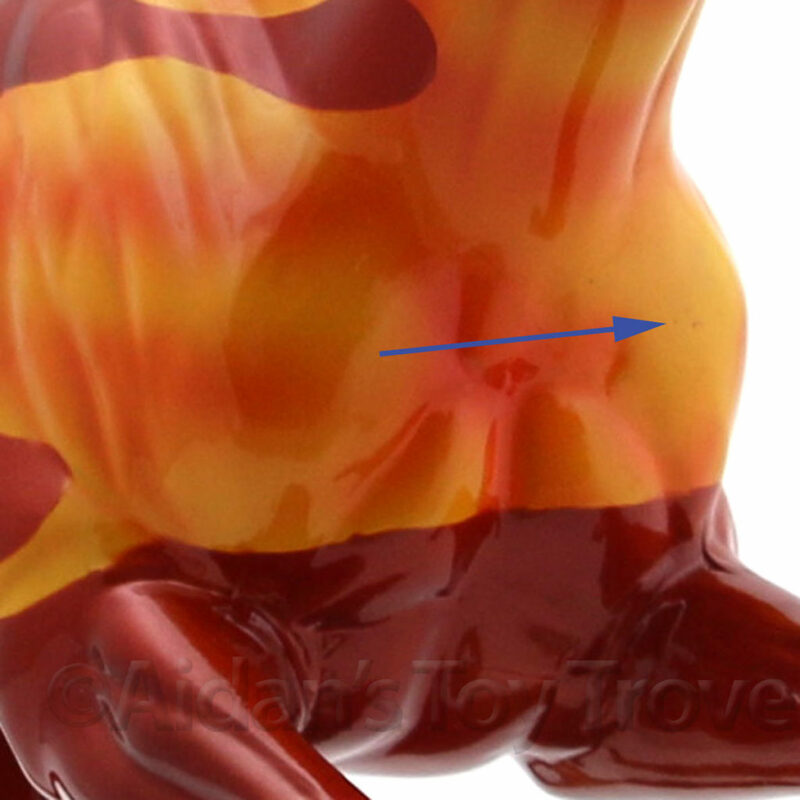 He has some small pieces of lint, most notably on the front of his left shoulder, in his left shoulder pit and on his right shoulder. 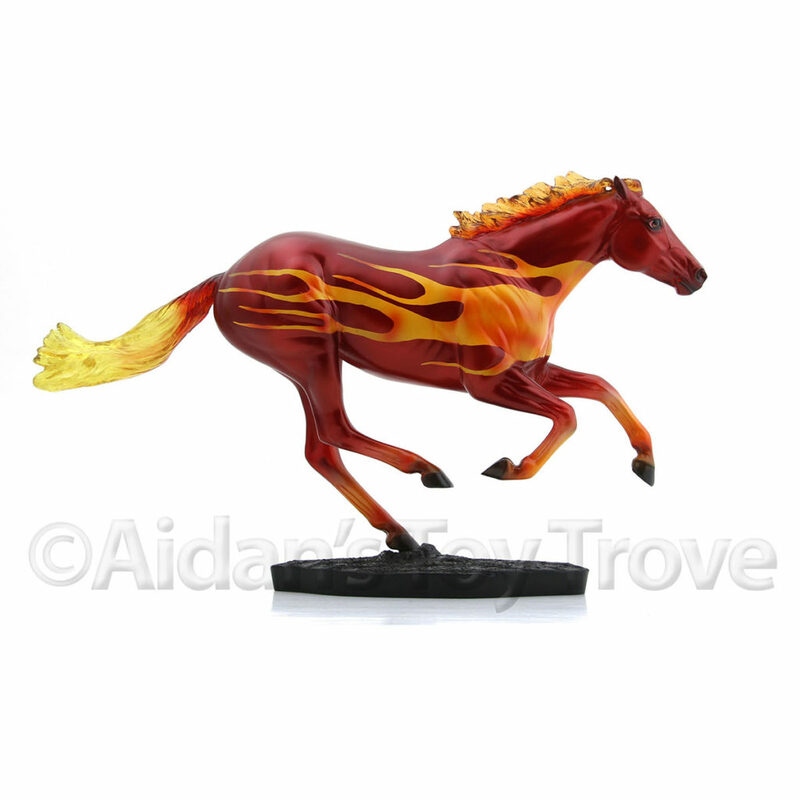 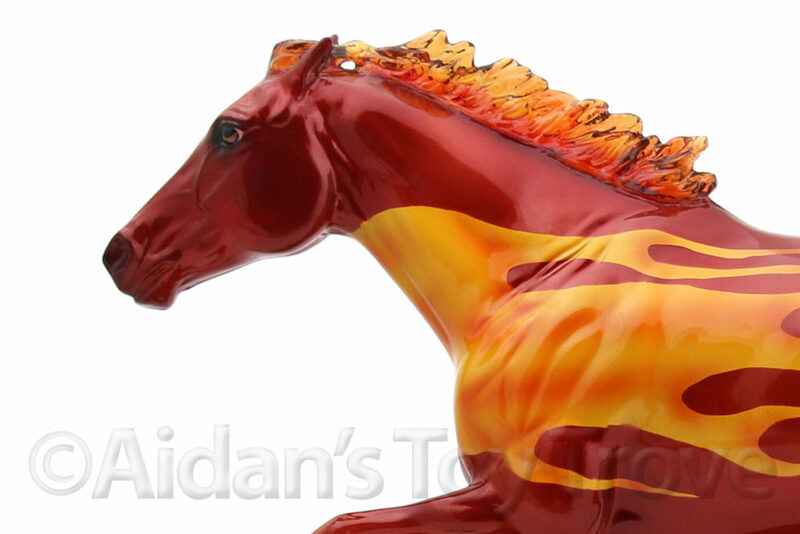 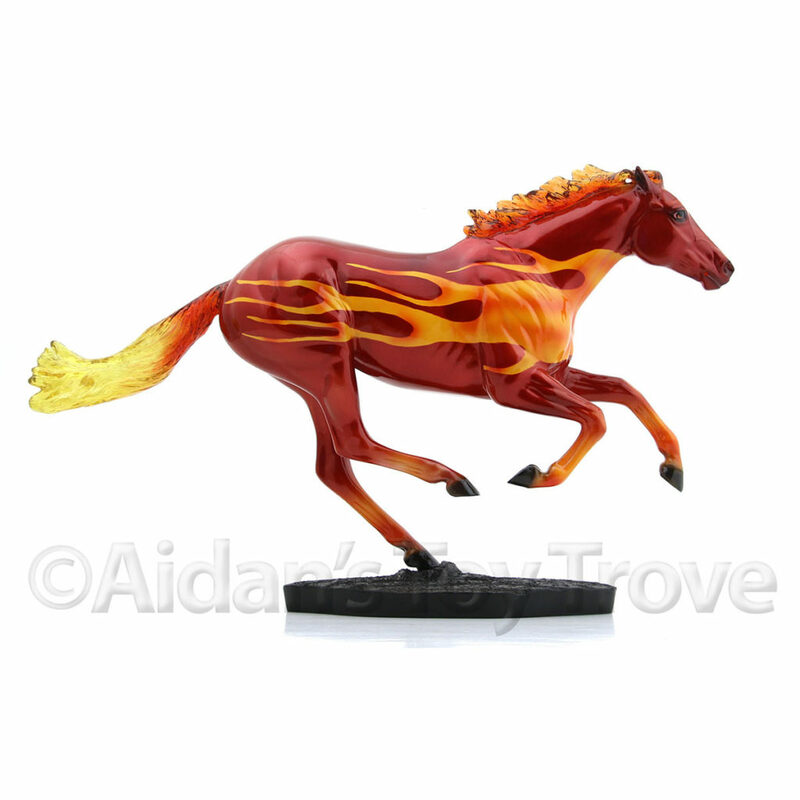 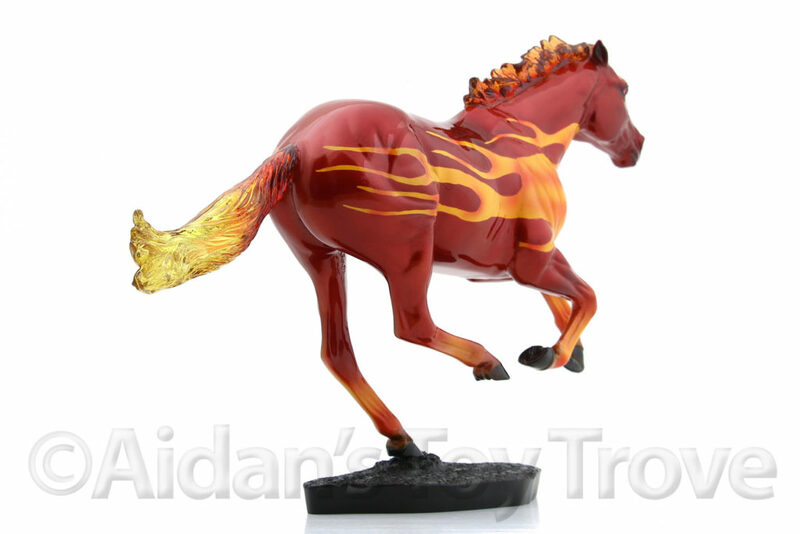 You will receive this exact New with Original Packaging Dark Horse Surprise in Glossy Decorator. 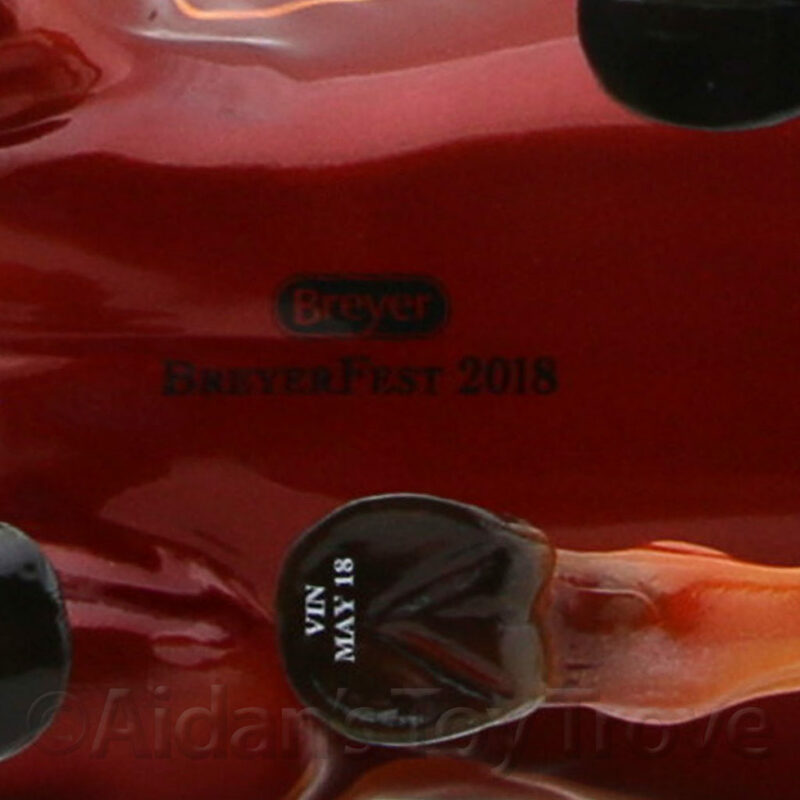 The BreyerFest Tent Special Runs were issued without a box and you will not receive one. 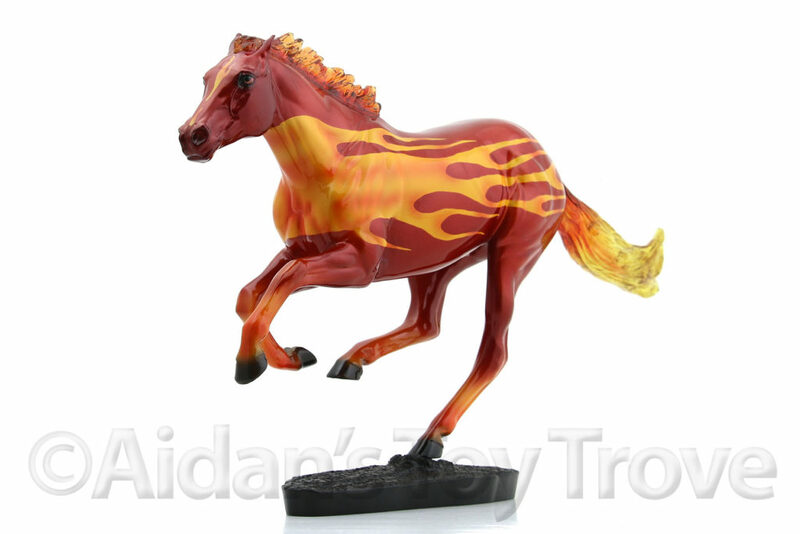 For my reference, this is #711285GlossyDecoratorBVA.